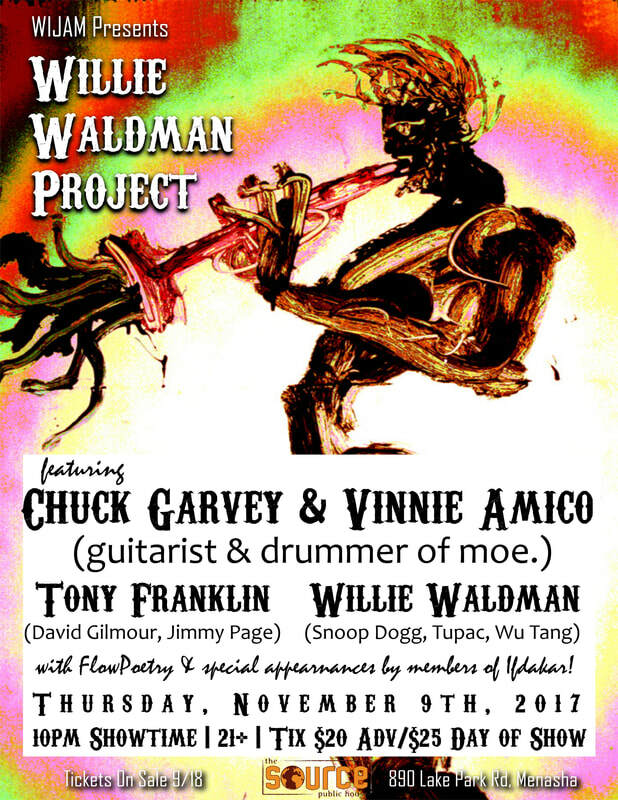 The Willie Waldman Project is heading to The Source Public House in Menasha, Wisconsin this November 9th with Chuck Garvey & Vinnie Amico of moe. The intimate performance will be an all improvisational, 2 set jam session featuring special appearances by Wisconsin jam-tron trailblazers, Ifdakar. FlowPoetry will emcee. Tickets will be $20 in advance and $25 on the day of the show. Public on sale begins on Monday, September 18th, and tickets will be found at www.wijam.net/WWP. TICKETS ON SALE ON MONDAY, SEPTEMBER 19th!